Robertson, Raleigh J.. "Blackbird". The Canadian Encyclopedia, 30 May 2017, Historica Canada. https://www.thecanadianencyclopedia.ca/en/article/blackbird. Accessed 22 April 2019. Blackbird is a common name for several species of birds of the New World family Icteridae (which also includes meadowlarks, orioles, cowbirds and grackles). Painting by Allan Brooks, watercolour (courtesy National Museum of Natural Sciences). The red-winged blackbird may be the most abundant bird in North America (Corel Professional Photos). Blackbird is a common name for several species of birds of the New World family Icteridae (which also includes meadowlarks, orioles, cowbirds and grackles). Grackles and cowbirds are sometimes referred to as blackbirds. The common grackle (Quiscalus quiscula), a black bird with an iridescent green-blue head, and the brown-headed cowbird (Molothrus ater), the male black with a brown head and the female grey, are often found in flocks with red-winged blackbirds and starlings. Cowbirds are brood parasites. They do not build a nest, but deposit their eggs in nests of other species and rely on the host to raise the nestlings. Blackbirds are medium-sized songbirds, about 20 cm long, with sharply pointed bills. While black predominates, bright reds and yellows are conspicuous on several species. In some species (eg, red-winged and yellow-headed blackbirds), males and females differ in form, the brightly coloured male being conspicuously larger than the more neutrally coloured female. 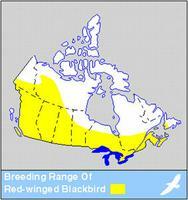 The red-winged blackbird (Agelaius phoeniceus) is the most common blackbird in Canada. 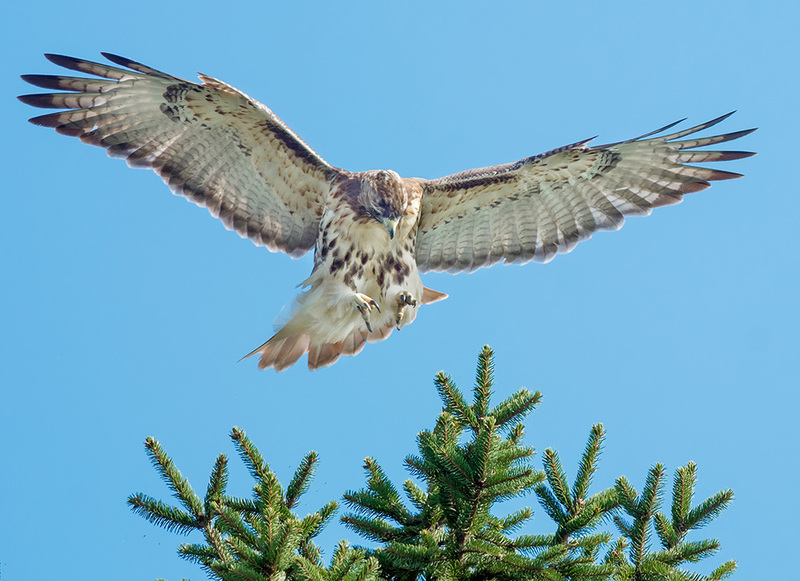 It may be the most abundant bird in North America, and populations have expanded in recent decades. Other blackbirds in Canada include yellow-headed, Brewer's and rusty blackbirds (Xanthocephalus xanthocephalus, Euphagus cyanocephalus, E. carolinus, respectively). 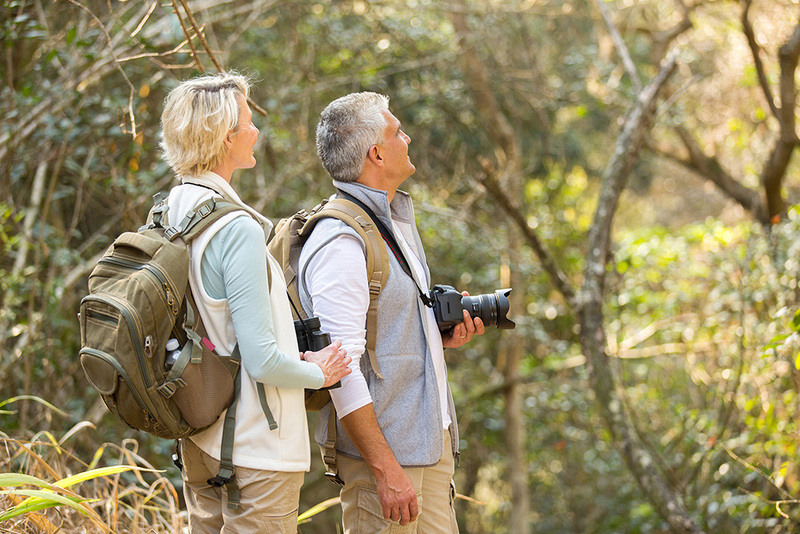 Blackbirds display diverse breeding systems. 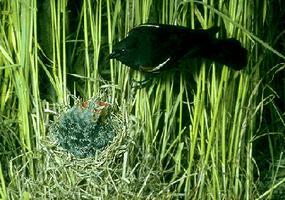 Red-winged and yellow-headed blackbirds nest in colonies in marsh vegetation or in more widely spaced nests in upland habitats. One male often has a harem of 3-8 females nesting in his territory. Rusty blackbirds are monogamous, solitary nesters in marsh edge, evergreen or muskeg habitats; Brewer's range from solitary pairs to a few monogamous pairs nesting in a loose colony. The female incubates the 3-5 eggs and feeds the nestlings. Males help feed the young after they leave the nest. 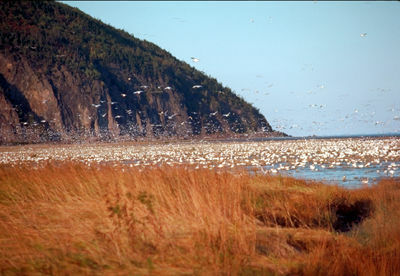 In early spring and late summer, tens of thousands of birds may roost together. During the day, they feed in flocks in nearby grain fields, causing economic losses. However, they also eat deleterious insects, weed seeds and waste grain, thereby compensating for damage caused.